Leading Manufacturer of packaging products from Chennai. Blisters are thermoformed in materials such as PVC,PET and HIPS for packing Toys,Batteries,Electronic components,Baby products,consumer goods,automobile parts,stationery.In another words these packing is also called clamshell packing due to the shape and mode of packing. We at ThermoPack manufacture Blister Packing,Clampshell tray,PET Blisters,Antistatic,ESD tray,Toys Packing,PP blisters,HIPS Blister Tray for Electronic circuit board manufacturers,Computer hardware manufacturers and plastic toys manufacturers.Especially for Electronic components manufacturer ESD Blisters are supplied with testing certificate. 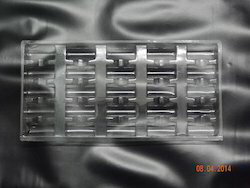 We at Thermopack do complete solutions for packaging of Various products using Blister packing tray,Clampshell tray,PET blisters,PVC blister, PET Blister,PET antistatic tray depends upon customers requirement and size.We are proud to be one of the Leading supplier of Large sized blisters up to 1200mm X 800mm in size. . Looking for Packaging Supplies ?